The 10th annual Epcot International Flower & Garden Festival kicks off at Walt Disney World. Burt Gillett, is released. This 7-minute classic features lifeguard Mickey saving Minnie from drowning. appearance of a bee named Spike (also known as Buzz-Buzz). 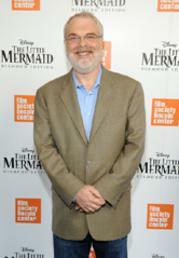 Clements wrote and directed the 1989 smash hit animated feature The Little Mermaid. Disney's loan from the Bank of America is finally paid off. Revenue from movies can now go directly to Walt Disney Productions. Academy Award-winning actor George Sanders, the voice of Disney's Shere Khan in The Jungle Book (and the husband of Zsa Zsa Gabor) passes away. Mickey Mouse and Michael Eisner appear on the cover of TIME magazine. The issue features an article titled "Do You Believe In Magic?" (or MMC) airs on the Disney Channel. Today is Guest Day! show before auditioning for the "New Mickey Mouse Club." Disney's live musical stage production The Lion King opens in Toronto, Canada. Zagat Survey announces the release of its first "Walt Disney World Insider's Guide." Based on the experiences of 4,841 avid Disney-goers, the guide comprehensively rates and reviews all six of Disney's Orlando theme parks. At Epcot, the new exhibit space in Spaceship Earth's post show, called Project Tomorrow: Inventing the Wonders of the Future, opens. Walt Disney World has recycling programs for Guests as well as Cast Members. WDW’s resort hotels have earned the prestigious Green Lodging Certification designation from the Florida EPA. 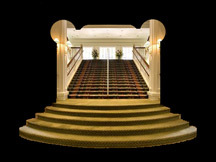 Disney also has Green Guidelines that apply to all meetings and conventions held at the Walt Disney World Resort. titled The Avengers. To be distributed by Walt Disney Pictures, the film will open in May 2012. The event will air on Sunday, April 26, 2015 on Radio Disney and Disney Channel. by creating a lie that eventually spins out of control. Comic actor Richard Haydn passes away at age 80 in California. He supplied the voice of the Caterpillar in the 1951 Disney animated Alice in Wonderland.